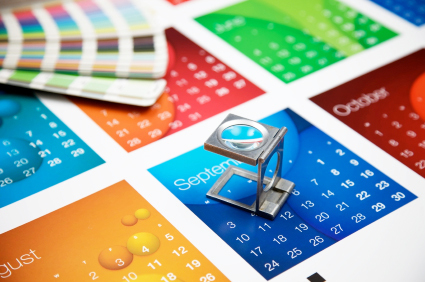 Whether you’re thinking of a new logo or website, a set of business cards, a dynamic poster campaign, a custom piece of digital artwork or a complete re-brand of your company, fresh and juicy can take care of it. From business cards, to flyers, brochures, to report covers, pop up banners, to bill board posters & everything in between, fresh and juicy can design it for you. Today, creative design is everything & fresh and juicy loves to get creative! Anything from Logo design, branding & poster campaigns to bespoke digital artwork. Your business card is a way of reminding people who you are and what you can do for them, that’s why the design is so important! We want your potential customers or clients to notice your business card as the one that ‘stands out from the crowd’ and gets you noticed. Sending correspondence on headed paper is crucial when building a business or organisation. To the customer or client it speaks volumes about your brand, they feel they are dealing with an established and trustworthy company that they can rely on. Your letterhead and continuation sheets are a front line tool in asserting brand identity, so, let Fresh and Juicy create these for you. We’ll draw inspiration from your current theme and come up with a design that complements your brand. When a business letter isn’t necessary, but saying nothing would just be plain rude, a compliment sip does the job - professionally and effectively! A compliment slip is only a third the size of a standard A4 letter, thus using only a third of the paper resource – so by sending one of these you’re helping the environment by doing your bit to reduce your carbon footprint. Your brand can start working for you, even before your customer or client has opened their mail. Branded envelopes not only look more professional but they also do their bit to enforce your brand identity during every step of their journey. Got a new idea? Need to attract new business or stir up some interest from your current customer base? Send them a promotional postcard they’re difficult to ignore because they’re already open when they arrive in your customer or client’s mail. Think your new idea won’t fit on a postcard? Try sending a flyer advertising your product or service, maybe you could send it with a headed letter or complement slip giving additional information. Do you take pride in your work? Do you believe in your brand? Do you understand the importance of cascading your brand through everything your potential customers, colleagues or clients will see? Making the right impression when making a business proposal, conducting a presentation or sending a welcome pack to a new client or investor can be vital in ‘securing that deal’ or ‘inspiring brand loyalty'. We don’t like to believe it but, people do judge a book by its cover! For a million different reasons you are going to need your customers, colleagues, employees, students or clients to fill out one kind of form or another, or maybe you might want to present them with a certificate of some kind – Fresh and Juicy can take care of this for you! A badly designed restaurant menu won’t inspire your customers to order more food, alternatively, how many of your investors actually read the annual report you work so hard to produce every year just because it looks boring? At Fresh and Juicy we know you’ll catch more bees with honey, so let us make your publication shine! Whether you’re a large business or an individual who can see the benefits that a website can bring, you can start with one of our basic packages and add what you need – simple! Need to have a web presence but not ready for a full website yet? This solution gets you there. We can design a web page for you, you can have your logo, images of yourself, your office or products etc, your contact details with some text about yourself & what you do. We could put links on your page for your social networks (facebook, Twitter, etc) to help you make those important connections. So, you need to let the world know what you have to offer. Whether you have an existing website that you’re not happy with or simply want to make the leap onto the World Wide Web, Fresh and Juicy can design your site. Weather your site is for personal or business use, we understand that every website should be as individual as you are & we have a range of bespoke options we can tailor to your needs. 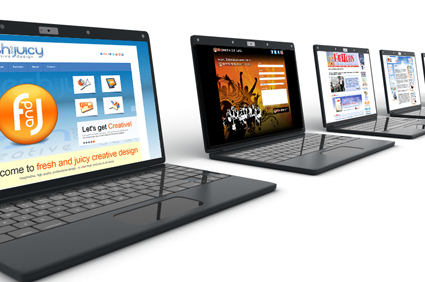 Grab the attention of your site visitors by adding rich media animations, video's, interactive Flash or Html5 elements. Adding interactive elements really adds to the user experience and gives people a reason to talk about your site, it's also a great way to visually represent difficult concepts when too much text might be overpowering. Having your animated banner adds on other people's sites is a good way to get your site noticed - the best website in the world is useless if nobody knows it exists! AND YOU WANT TO TELL THE WORLD ABOUT IT! You could spend a small fortune on a big ad campaign with bill boards, TV & Radio commercials etc (ok, you get the idea) OR you could join the 21st century & use one of the most powerful networking tools at your disposal - Social Media! If you don't have the time or the technical ability to keep your website up to date, why not let fresh and juicy take care of this for you? For a monthly fee we can do your regular updates professionally, this will keep your site content current which helps with search engines like Google, Yahoo or Bing & gives your clients, customers, members & curious visitors a reason to come back to see what's new. Looking for something not covered in any of the other sections?, something a bit more creative? At Fresh and Juicy we love custom design. 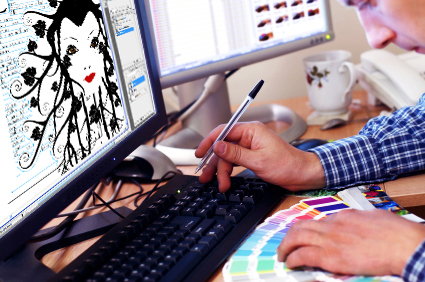 Anything, from designing your new logo or branding, to digital illustrations and artwork. So, if you need us to design an exhibition stand, promotional merchandise, funky graphics or some cool artwork for your new restaurant (etc, etc, etc) contact us and we’ll take it from there. If you’re just starting out, or an established concern your logo is an important part of your company or organisations identity. It tells potential customers or clients what you do and is a powerful tool when inspiring brand loyalty. Good logo design is vital, whether you want your existing logo refreshed and updated or a complete re-brand. A strong, professional visual identity makes you stand out from the crowd. Inspiring brand loyalty in your customers builds trust & credibility. Your brand is your mark of distinction & a reason for people to confidently do business with you. We can build your brand identity, based on your core values & the type of service you provide. Branding is one of the key elements of business success, every business is different so your branding is tailored uniquely to you. When visual communication is key, illustrations speak louder than words. From flow charts & business graphics to innovative designs that work with & enhance your brands marketing strategy. Illustrations can be used for both print & the web and can be used to reach people regardless of what language they speak, so the possibilities are endless! Jason Percival is also a digital artist with a contemporary eye for both natural & supernatural forms. If you're looking for something a bit more creative or unique this is the right place to be. Jason uses multimedia techniques to create his works by mixing vector graphics & photo manipulation with scanned-in elements of his drawings & paintings to produce some truly spectacular & magical digital artwork. Take a look at some recent fresh and juicy projects. If you would like to see more of our work why not take a look at the portfolio by clicking the link below!